While free gold coins and white goods continue to be offered as free gifts by developers this festive season, the new kid on the block is a GST waiver that has caught the fancy of many real estate developers this Navratri. Most developers in Delhi NCR are offering this 12 percent discount by agreeing to absorb the Goods and Services Tax (GST) to lure buyers into investing in property this festive season. Supertech Limited is giving assured gifts on every new booking. Customers can avail a GST waiver for any new purchase in its ongoing and ready-to-move-in flats across all projects in 50 locations. The company is also offering a rental plus EMI free scheme until possession for its projects such as Captetown, Eco Village, Eco City, Romano, Upcountry and Golf Country projects located in Noida. Sikka Group is also offering a GST waiver and a fully furnished flat for its project Sikka Kimaantra Greens located in Sector – 79, Noida, Sikka Kaamna Greens in Sector – 143, Noida Expressway and Sikka Karnam Greens, Sector – 143 (B), Noida Expressway and the assured rental scheme for its project Sikka Kapital Grand located in Sector – 98, Noida. Gaurs Group is also offering a 100 percent GST benefit for under-construction units besides the usual free maintenance for a year, free car parking, free club membership. “All that we are doing is absorbing the 12 percent GST levied on the invoice for purchase of a house on behalf of the buyer. The amount of GST levied depends on the stage of construction of the project,” explains Manoj Gaur, Managing Director, Gaursons India. "Announcing that flats are free of GST is only a mechanism to offer discount. Builders are using this marketing strategy to attract buyers as GST is a hot topic these days; in effect, it is akin to giving a discount of 12 percent,” explains Harpreet Singh, Partner, KPMG. GST waiver can only be offered for under-construction units. Buyers should watch out for any developer claiming to offer GST for ready properties as it is not applicable for them. 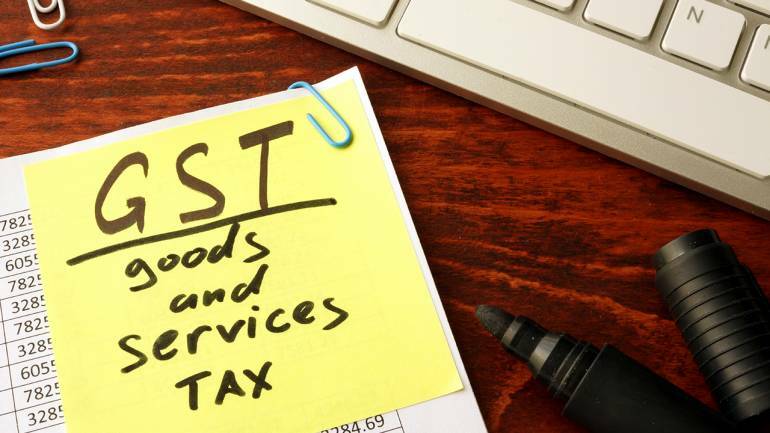 The government has imposed a 12 percent GST on sale of under-construction units from July 1 onwards. In case of real estate, GST will be in addition to the stamp duty rate charged by states. It will be subsumed by Value Added Tax (VAT) and Service Tax. Under the new GST regime, while there is an increase of 6.5 percent in terms of the tax payable by flat purchasers, there is also an option of the builder passing the benefit of input tax credit to the buyers. “Builders offering to bear GST (of an under-construction property) is an interesting marketing tactic. The builder is anyway going to receive input set-offs on this GST so the actual discount would be minuscule. It would be interesting to see if developers are, in addition to bearing the GST, also willing to convey the GST input set-offs to buyers. That would be a real discount,” says Anckur Srivasttava of GenReal Advisers. Other festive offers doing the rounds this festive season include free white goods, 5 percent to 10 percent discount on the cost of the apartment, zero stamp duty charges and first free transfer of ownership. "Our company is offering around 10 percent discount on the list price of 4BHK and 3BHK apartments of our Tulip Violet group housing project during the festive season," says Parveen Jain, CMD, Tulip Infratech. According to Anuj Puri, Chairman, Anarock Property Consultants, the festive season this year has started on a positive note. “While structural reforms by way of RERA and GST have helped firm up buyer sentiment, developers too have progressively adjusted their business approach in the new era of transparency brought on by GST and RERA, and are geared up to cater to the pent up demand for homes this year,” he says. Ready-to-move apartments with occupation certificates (OCs) are kept out of the ambit of the RERA and GST. Buyers have a wider choice of ready-to-move-in options this festive season. There are currently about 70,000 ready-to-move-in unsold apartments in tier 1 cities, he says. Home loan interest rates are at their lowest in the last 10 years, and will remain in that territory owing to the generous liquidity prevalent in the market post demonetisation. Also, as they compete for bigger shares of the home loan pie, many banks have been rolling out attractive offers like waived processing fees. This has put home buyers in a sweet spot with an ample range of projects to choose from and very attractive financing options at their disposal, he adds.